As part of the OpenNTF development contest sponsored by hedersoft, NithyaPriya Rajkumar and Abeish Babu have contributed a project called Attendance Widget for IBM Connections. 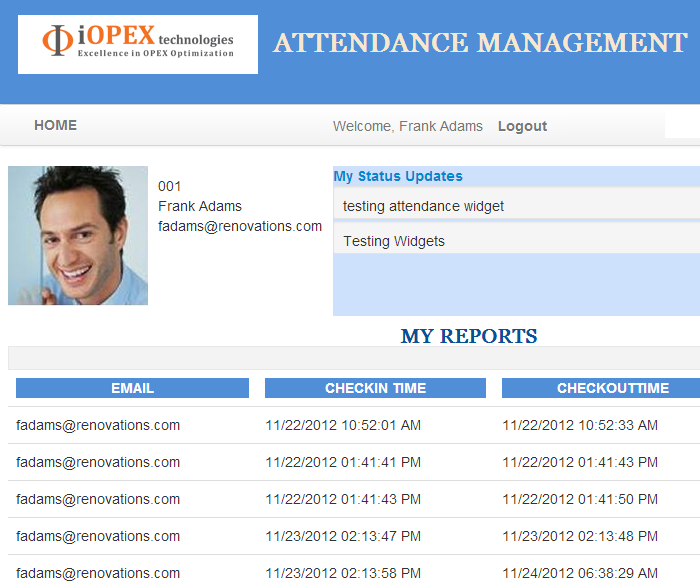 The project contains a custom attendance / time tracker application and a widget that can be put on the Connections home page providing a button to check in and check out. Watch the mini video to see the widget in action.